At Rawa Law Group, we are experienced personal injury lawyers with vast experience in handling motorcycle accident cases. If you are in Alhambra, CA and need a reputable firm with well-read, ethical, aggressive Alhambra motorcycle accident attorney to fight for your right, we are your go-to firm. Motorcycle accidents are becoming a norm and these accidents result in near-fatal consequences. Majority of motorcycle accidents are caused by negligent drivers who fail to recognize motorcycles in traffic. The only bright side of being in a motorcycle accident is that motorcyclists involved in these ghastly accidents are entitled to compensation. 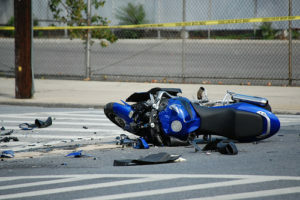 However, you would need the services of an experienced motorcycle accident attorney to help you with that. We are focused on helping you get the maximum settlement for your accident claim and we fight aggressively for your case. Our firm has over 50 years of combined experience and has been in this business of fighting for the rights of the citizenry having any personal injury cases for over a decade. Rawa Law Group motorcycle accident attorneys have helped clients recover hundreds of millions in settlements and are eager to help you with yours.